If you saw the last post (SheaMoisture BOGO) you know yesterday I went and purchased a few SheaMoisture products from Walgreens on sale for buy one get one free. Today I will be testing a few of them out and I’ll get back to you guys with a full review! 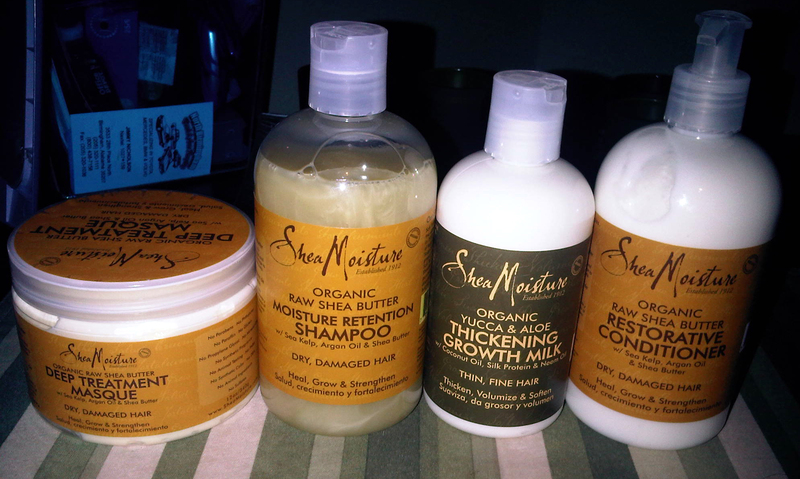 However, in the mean time as promised here is the SheaMoisture haul video. I will be reviewing these! Comment below if you like this haul and would like to see more. Also rate above and give the post 6 stars and you want to see more video! A Series for Dry Hair Pt 1: Do You Really Understand What Causes Dry Hair and Why? To Grease or Not Grease? What is your answer? I tried their products (curl smoothie) when I was natural. I am transitioning again and cannot BELIEVE that Walgreen’s is selling the product, and I missed the BOGO. Girl, let me know when it goes on sale again. I loved your review. I buy other products, but these are cheaper and I think just as good. Can’t wait to talk hair. I enjoyed this vid!!! Thanks!!!! I’ll be sure to let you know when these go on sale again!